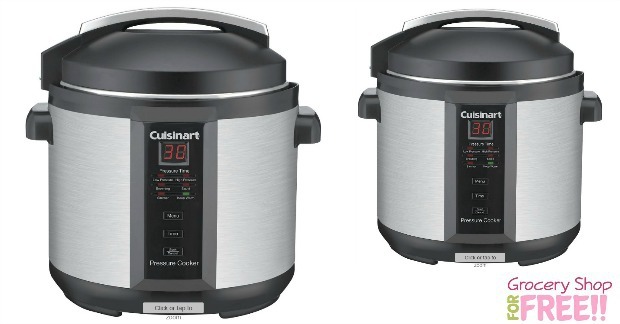 Cuisinart 6qt Pressure Cooker Just $64.99! PLUS FREE Shipping! You are here: Home / Great Deals / Cuisinart 6qt Pressure Cooker Just $64.99! PLUS FREE Shipping! TODAY ONLY Best Buy is having a great sale! You can get this Cuisinart 6- quart Pressure Cooker for just $64.99 PLUS FREE shipping!